MobiFrance celebrated the French Independence Day on July 14th by showing the world a neat concept phone shaped like the Eiffel Tower. 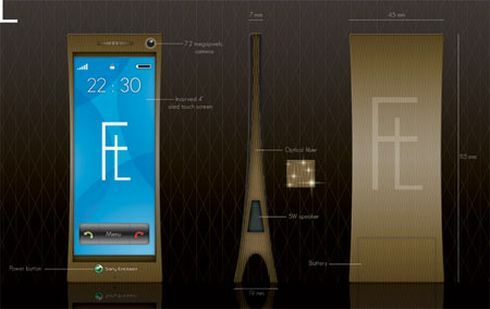 The concept bears the name of FL (French Luxury) and it’s a touchscreen handset with a 7.2 megapixel camera. If you hold the phone vertically it looks just like the famous French monument, the Eiffel Tower and you’ll also notice that it features speakers on its sides. 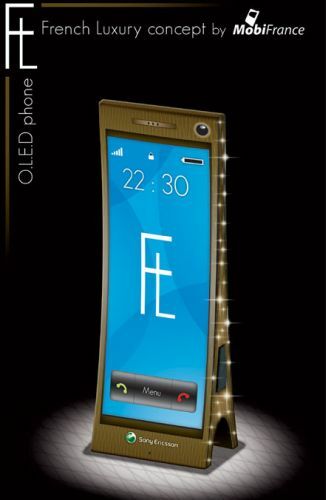 The FL supports multimedia playback, features a vibration mode and that neat touchscreen is an OLED display. No news about the price of this beauty, but it’s pretty interesting to see the Sony Ericsson branding on it.